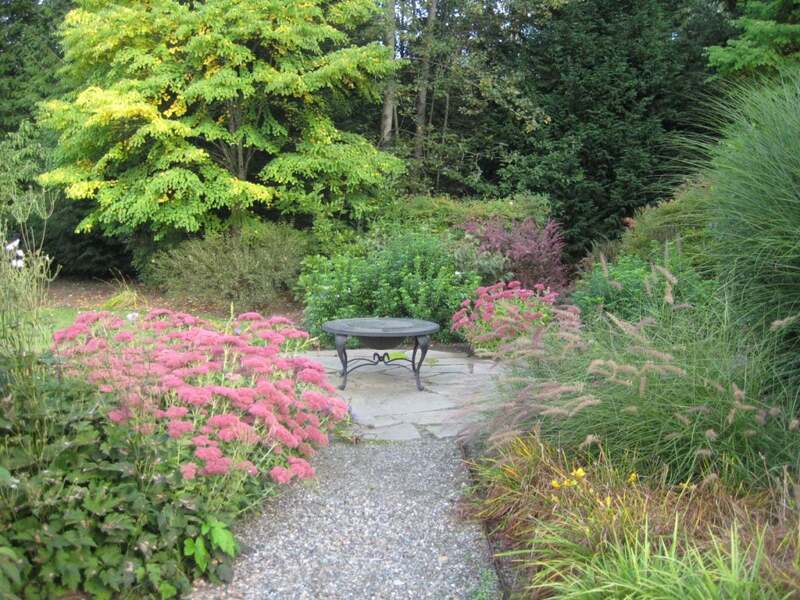 This perennial garden has been in several years and the grasses and sedums blend seamlessly with the woodland setting. 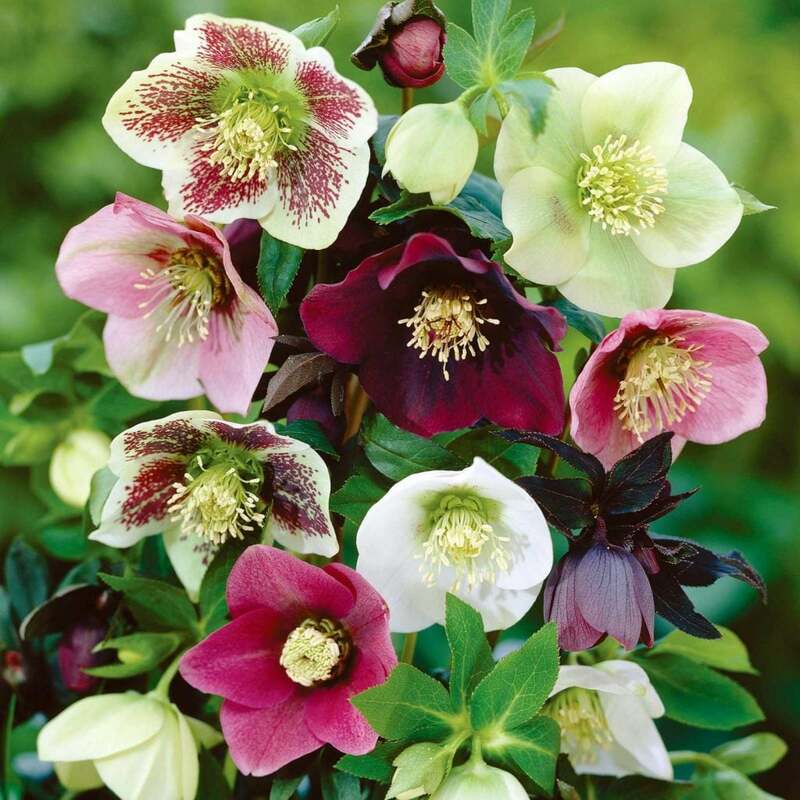 Helleborus orientalis as known as a “Lenten rose” is a late-winter blooming perennial that grows large, cup-shaped, rose like flowers. The flowers usually form 1-4 clusters on thick stems and can grow to be 1.5’ tall and have an 8-10 week long bloom period. Plant the Lenten rose near the patio or walkway or plant as a ground cover. 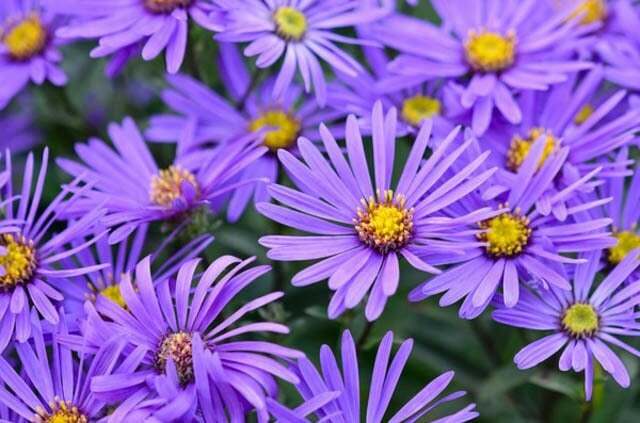 Grows best in rich, well-drained, neutral to alkaline soil and likes full sun to partial shade. 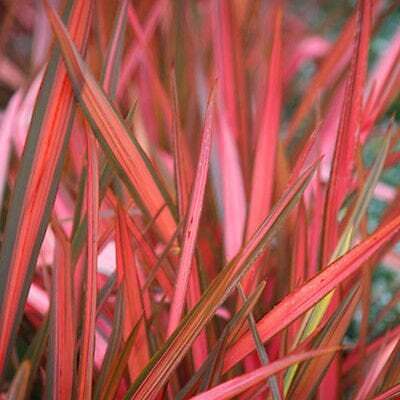 Phormium tenax also known as a ‘New Zealand flax’ is an evergreen that is grown for its attractive foliage. The flax grows sword-shaped, linear bright green leaves with red-orange stripes that can grow to be 3-9 feet long. 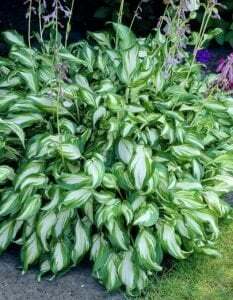 Use as a focal point for the border or at lawn’s edge where the soil is moist but well-drained. 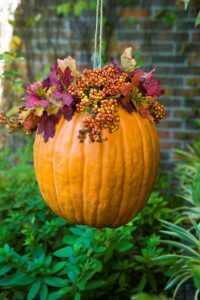 Start seeds in a container for a nice summery display and then divide in the spring. Garlic is easy to grow and produces numerous bulbs after a long growing season and is frost tolerant. Plant garlic about 2 months before the first hard frost. To grow garlic, plant individual cloves about 1-2 inches beneath the soil about 4-6 inches apart. Make sure not to use garlic cloves from the store as they may not be the right variety or have been treated. Harvest the garlic when the yellow tops start to fall over. 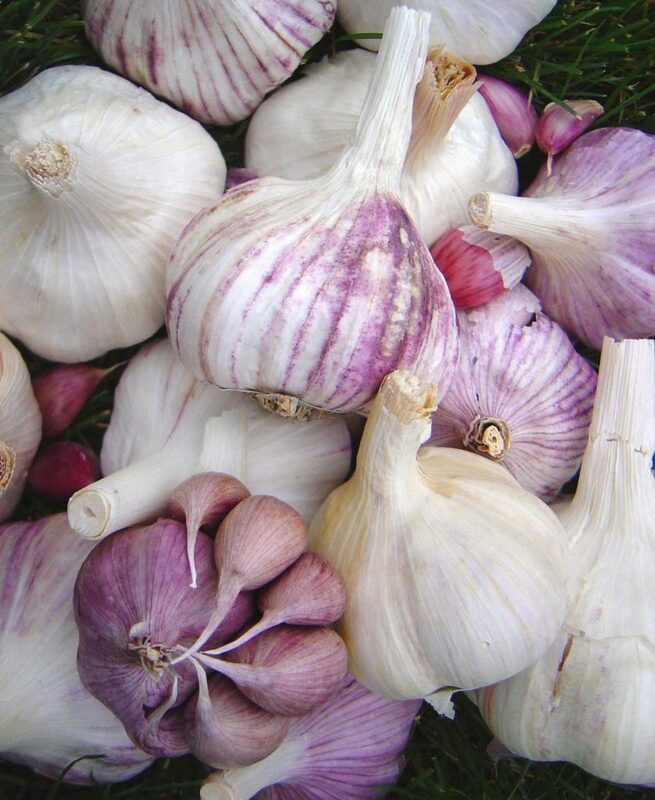 Garlic isn’t just for cooking, you can also use it as an insect repellent or in home remedies. Chrysanthemum (Dendranthema x grandiflorum) are also known as “mums” for short. The flower heads are composed of a cluster of many flower heads. This our favorite color! 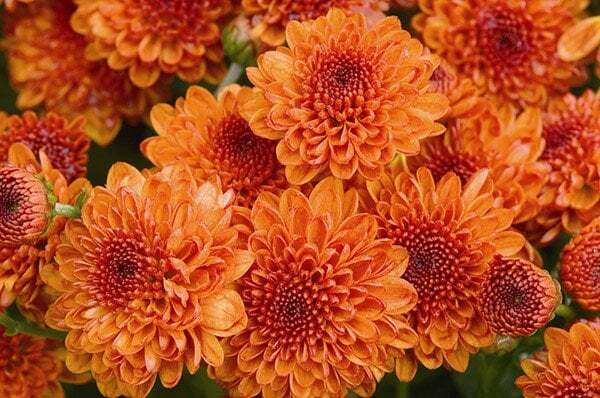 Mums can be grown in any kind of soil but prefer full sun; are easy to grow and have a long flowering period. They have nine categories based on the arrangement of disk and ray of flowers- Incurved, Reflexed, Intermediate, Singles, Pompons, Sprays, Spiders/Spoons/Quills, Charms and Cascades. 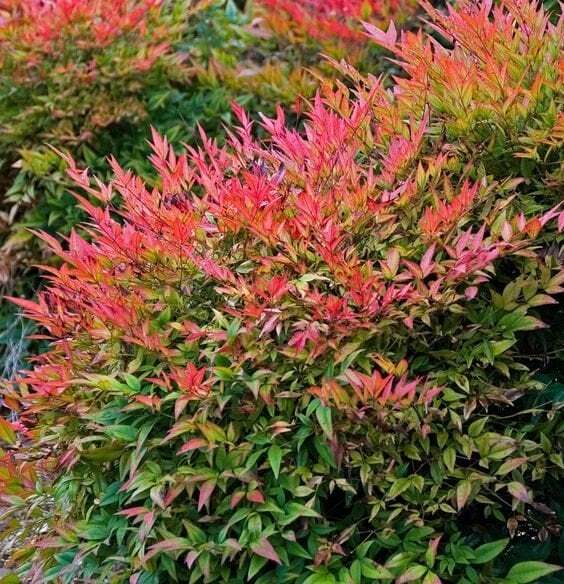 This deciduous shrub is a delightful blooming surprise at the end of summer. Different than most bluebeards, ‘Dark Night’ stands upright and is more densely branched than other species. 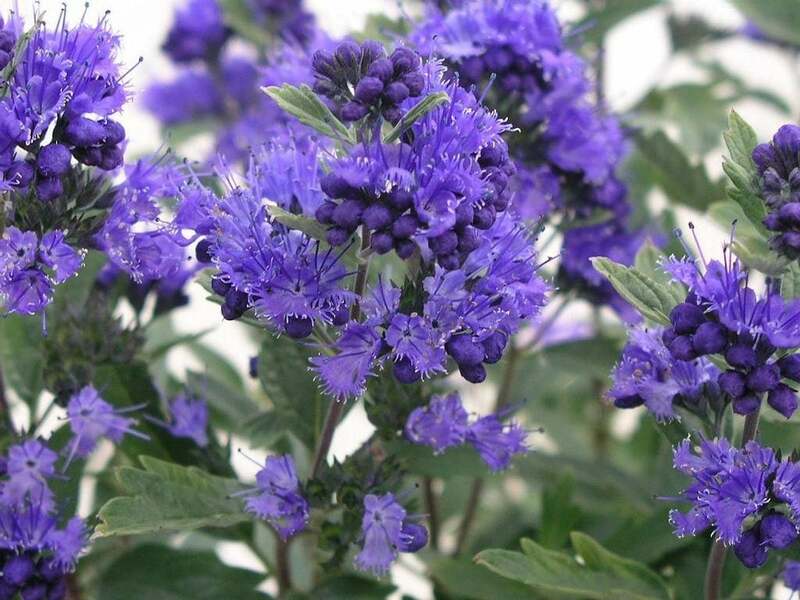 The deep purplish-blue flowers lie in tufts along the stem, and the dark green foliage is a nice contrast. Another plus, the hummingbirds love it, and it is deer resistant. For more plant suggestions call or email us!